Besides being great for your health, hiking can reward you with some of the best experiences and scenic views in the world. Hiking can teach you valuable life skills, like resilience in spite of the situation you’re facing, setting goals, and overcoming tough challenges and obstacles in life. There are countless hiking spots around the world where you can enjoy amazing moments. However, before you set off for the hiking trip of a lifetime, there are many things you should consider, one of which is the backpack you decide to bring with you. There are many individuals who can otherwise map out a backpacking excursion down to the last detail, but struggle when it comes to choosing a hiking backpack that will suit their needs well. 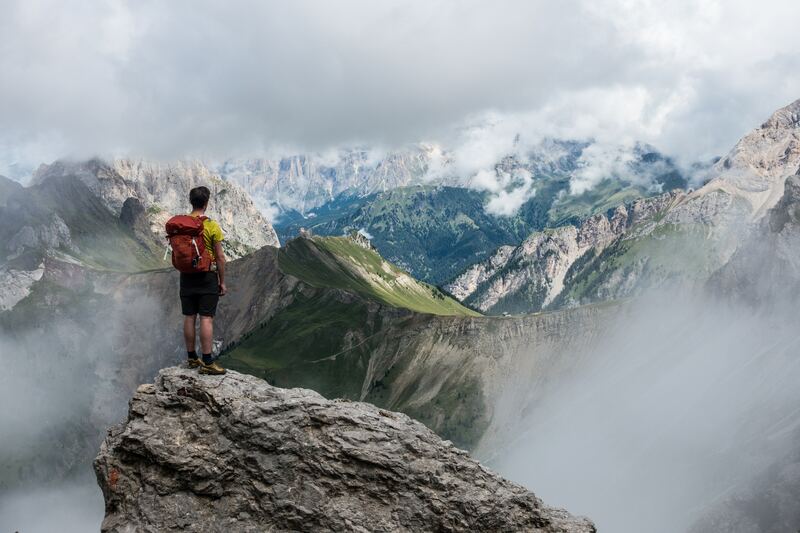 When you’re high up in the mountains or trekking through rough terrain, you will appreciate bringing a well-designed backpack but regret bringing a poorly-made one. You might be OK with an average/cheap backpack for casual situations, but if the going gets tough, having the wrong backpack with you may mean having to cut your adventure short, or worse. However, the process of going through and selecting a hiking backpack can be very confusing. When you do your research and look at what’s available, you’ll come across a huge variety of products. You may feel overwhelmed, like there are so many good choices that it’s impossible to select the best one for you. There’s no doubt that the market is filled with a variety of hiking backpacks, all of them claiming to be the best. To simplify the process for you here, we’ve noted some of the most important things you should consider when deciding on a hiking backpack to purchase. When it comes to a hiking backpack, you shouldn’t compromise on quality. Ensure that you pay special attention to the frame and quality of material that are used in the production of the backpack. The backpack’s overall build should be reliable and long-lasting, the stitching should be tight and neat, and zippers and other potential weak points should be reinforced, as these are all indications that you’re investing in a quality product. One of the most important things to consider is the weight of the hiking backpack that you are planning to buy. Remember that while it should be sturdy, the backpack should also be manufactured with lightweight materials and technology so that when you inevitably fill the backpack with all your items, it won’t feel heavy on your body and drag you down. A lightweight pack will allow you to move around freely and easily. It’s important to take note of the number of pockets and compartments that you will get with a particular hiking backpack. There are some backpacks that have only a single main compartment, while others have more pockets to help you better organize your gear. Too many compartments may do more harm than good, but a few well-placed pockets will allow you to access your stuff easily and save you from wasting your time looking for the items you need. Pay attention to the design of the hiking backpack. Make sure that it’s ergonomically designed and easily adjustable to accommodate your body’s unique dimensions. Believe us, your back will appreciate a comfortable and evenly distributed backpack. It’s highly encouraged to give any backpack you’re considering a test run before purchasing it, if you’re able. For maximum comfort, make sure that the back panel and any belts and straps are padded. You may have found your perfect backpack, but is it worth the price tag? You’ll find great picks at almost any price point, but you do get what you pay for. Don’t feel like you have to shell out 500 dollars or more for a great hiking backpack, but do view it as an investment you shouldn’t skimp on. The HMG 2400 Southwest is an ultralight (only 1lb 12oz) 40L backpack with a minimalist design, but it makes up for an unassuming exterior with a sturdy frame, durable Dyneema fabric, and high weather resistance. If you’re planning to hike anyplace where the weather can be unpredictable, the HMG 2400 Southwest is a perfect choice; if it starts to rain, the bag will protect all your items from getting wet. While the pack is short on internal organization, offering only a main internal compartment and three outside pockets, its ability to shoulder heavy loads while being under 2lbs itself makes it a winner. The 2400 is generously padded and sports aluminum stays to ensure that your bag will sit comfortably on your body regardless of the contents. 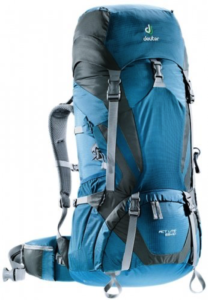 With a 65L capacity, the Osprey Atmos AG 65 is an excellent choice if you bring a lot of gear on your hiking trips. A strong plus for the AG 65 is its organization – the backpack provides a separate mesh area for dirty items, dual front-paneled pockets, and straps to hold items like tent poles. 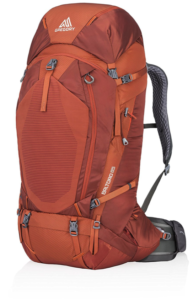 It’s heavier than many ultralight packs at 4lb 9oz, but this added weight gives it a stronger frame and better weight distribution system that allows you to carry up to 50 pounds inside more comfortably. A couple of minor points to note, however: there is no zipper for the main compartment of the backpack, and it’s top-loading, meaning that you have to pack and access everything from the top panel. If you’re a heavy-duty hiker who likes to carry an item for every situation, look no further than the Gregory Baltoro. 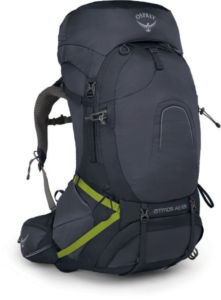 The latest iteration of this award-winning pack is chock full of features, including numerous exterior pockets (with one on the hip belt as well), a hydration sleeve that also doubles as a daypack, a rain cover for inclement weather, and compartments for a water bottle and sleeping bag, all in a pack with a fully-customizable fit. Many praise the suspension and weight distribution system of the Baltoro, which allow you to travel with loads of 50 pounds or higher and remain comfortable. The price tag is a bit steep, starting at $300 for the 65L version, but you’re investing in a comfortable, balanced carry for even the heaviest loads and top-tier organization. 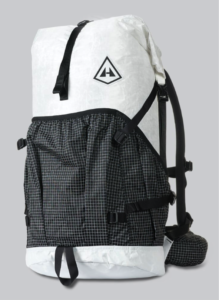 The pack also comes in 75L and 85L sizes. The Osprey Exos 58 is an ultralight 2.4-lb. versatile backpack great for shorter outings and medium loads of around 30-40 pounds. An aluminum perimeter frame that wraps around the pack better distributes the weight, and a slew of exterior mesh pockets means that you can easily carry small items on the outside as well. And as with many backpacks nowadays, the Exos has a soft mesh fabric on its back to open up airflow, ensuring that you will remain comfortable even in soaring temperatures. The only complaint is the 100-denier fabric, which isn’t as resilient as that of some other backpacks, but that’s easily mitigated with some careful handling. Finally, as with the Atmos discussed above, the Exos is covered with an Osprey lifetime guarantee. Founded in 1938, REI has been manufacturing premiere sporting goods for outdoorsy people for 80 years, including a long line of hiking backpacks. 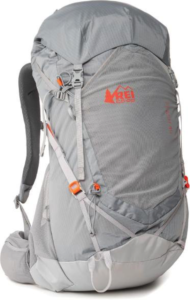 At 45 liters, the Co-op Flash 45 Pack by REI is a fantastic choice from day trips up to excursions of a few days. It’s manufactured with high-quality 420D nylon and several internal compartments and attachment loops on the front allow you to organize it all, even specialized tools and gear. The mesh back of the Flash Pack 45 keeps the sweat away with constant ventilation. Finally, an airy yet sturdy frame and REI’s unique compression technology keep your items close to you and evenly distributed for a comfortable journey. First-time backpack buyers are often overwhelmed with choices and confused about which one will be the best for them. 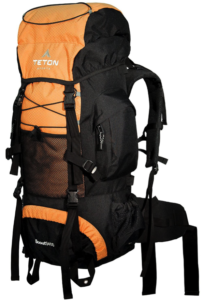 At only $60, the 55L TETON Sports Scout 3400 is a great choice for beginners new to hiking and who are looking for a great-quality product without investing too much upfront. The backpack comes in at under 5 pounds and offers an adjustable torso, several compartments for neat, organized storage, and an integrated rain fly. A generously padded hip belt and shoulder straps and mesh back covering ensures maximum ventilation and comfort as you trek. It comes in 3 different color schemes. Comfort and endurance is the name of the game with this backpack from Deuter. Overlapping aluminum stays, Deuter’s AirContact ventilated back system, and an ergonomically-designed waist belt and shoulder straps come together beautifully to make a durable backpack that can keep you trekking through longer multi-day hikes. Other features include a compartment for holding up to three liters of hydration (or your gear) and a blend of Super-Polytex polyester and 210 ripstop nylon to make it both abrasion- and water-resistant. The ACT Lite is a great value for its size, and you can choose from 3 different color schemes. 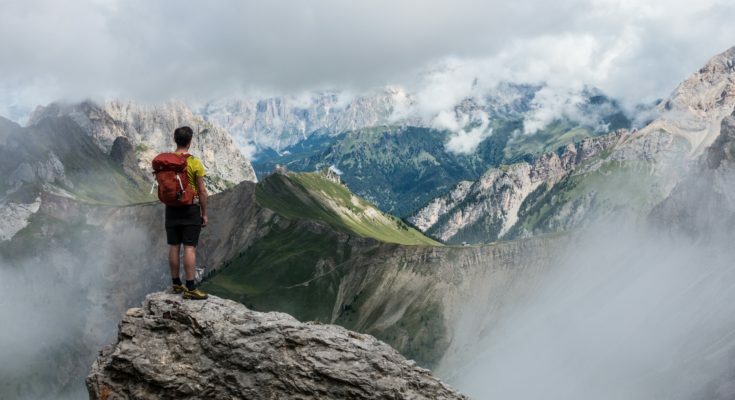 We hope that we helped you with these overviews of some of the best hiking backpacks currently available on the market. Make sure you select the one that you are most comfortable with. Don’t pick just any hiking backpack because it seems like everybody else owns it or it’s in your favorite color. Remember that quality comes first if you want to have a memorable experience. Here’s to scenic hikes and new adventures!